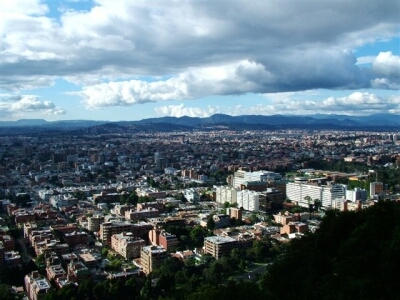 A panoramic view of part of Bogota' from the surrounding hills. 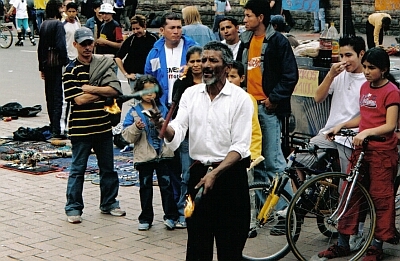 The population of Colombia's capital is approx. 7 millions. 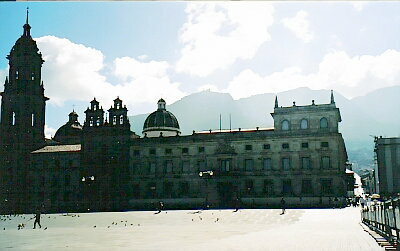 A beautiful morning in Plaza De Bolivar. 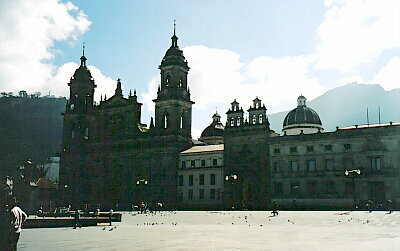 Details of La Catedral Primada, builted 1807-1823, stands at Plaza De Bolivar. 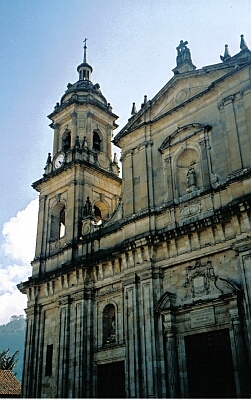 The morning sun blazes one of the many churches in La Candelaria, one of the oldest barrio in Bogota'. 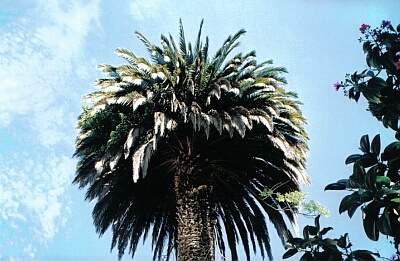 Luscious Palm tree against a blue, morning sky. Again, Bogota' is at a very high altitude, and a constant "late autumn-early winter" temperature and climate is experienced all year round. 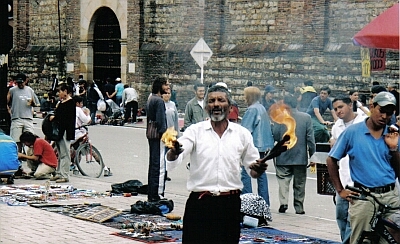 A street, "fire" performer on the Carrera Septima. 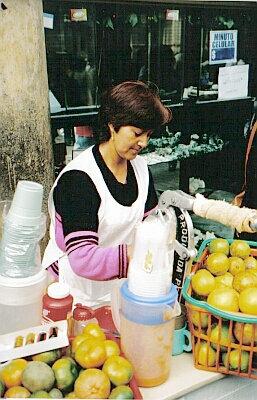 A street vendor, making fresh orange juice. In the background, a shop window, displaying opaque emeralds in matrix. 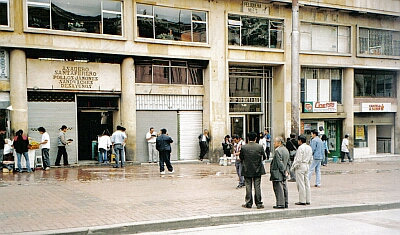 Early morning on the Avenida Jimenez (the "emerald street") and the emerald market is about to start... Like in any other gem capital, in Bogota', emeralds are traded in a particular area, where offices, and cutter shops are located. And like in any other gem capital, stones are traded on the street also. Of course, simulants and synthetics are always abundant. 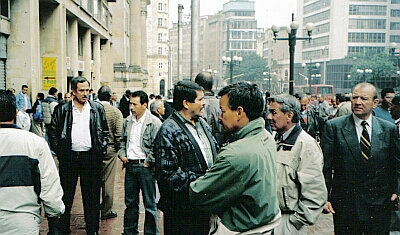 By 10 am, the street is fully animated and the brokers ("comissionistas") are already in action.